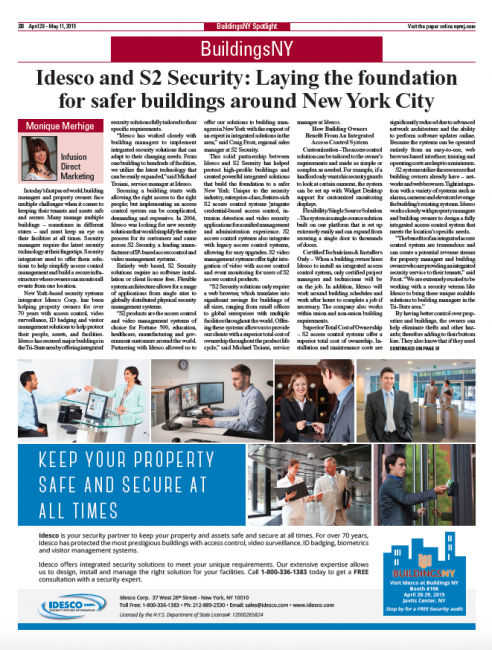 In today’s fast paced world, building managers and property owners face multiple challenges when it comes to keeping their tenants and assets safe and secure. Many manage multiple buildings – sometimes in different states – and must keep an eye on their facilities at all times. 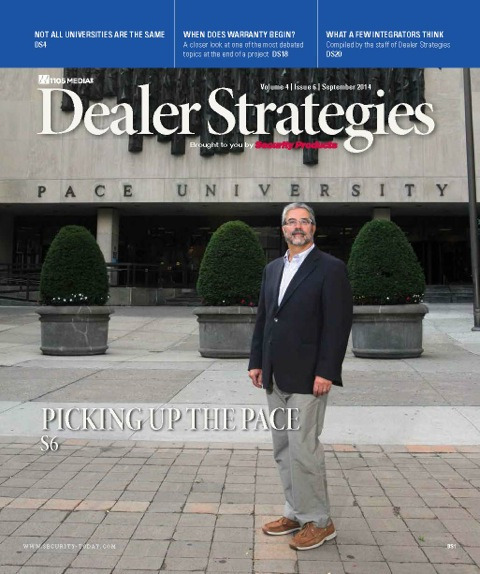 Dealers and integrators still have questions about cloud-based services, so we asked Service Manager Michael Troiani of Idesco Corp. in New York City for his input. 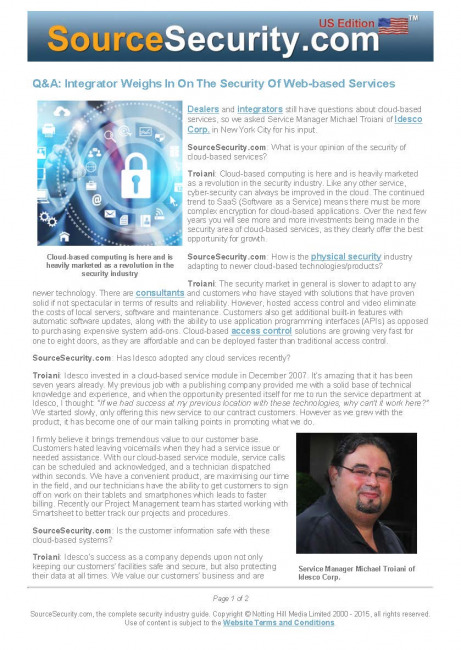 SourceSecurity.com: What is your opinion of the security of cloud-based services? Access Control ranks among the top three revenue achievers in the security market today. 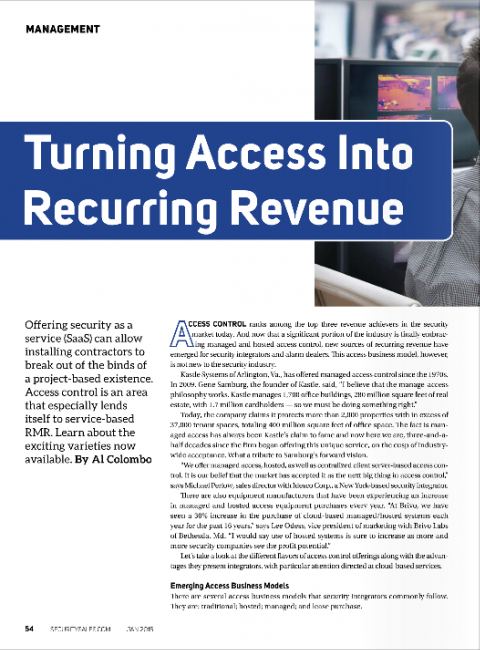 And now that a significant portion of the industry is finally embracing managed and hosted access control, new sources of recurring revenue have emerged for security integrators and alarm dealers. This access business model, however, is not new to the security industry. For more than a century, the famous Flatiron Building here has occupied a piece of curiously shaped real estate at 175 Fifth Avenue, sitting on a small triangular island at 23rd Street and Broadway, facing Madison Square. 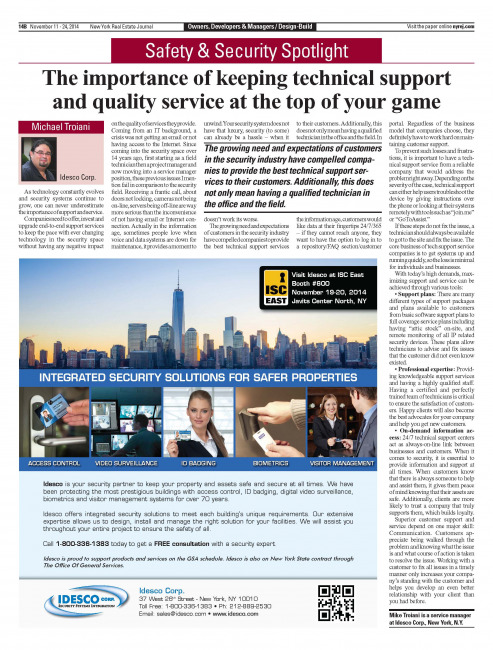 As technology constantly evolves and security systems continue to grow, one can never underestimate the importance of support and service. Companies need to offer, invest and upgrade end-to-end support services to keep the pace with ever changing technology in the security space without having any negative impact on the quality of services they provide. 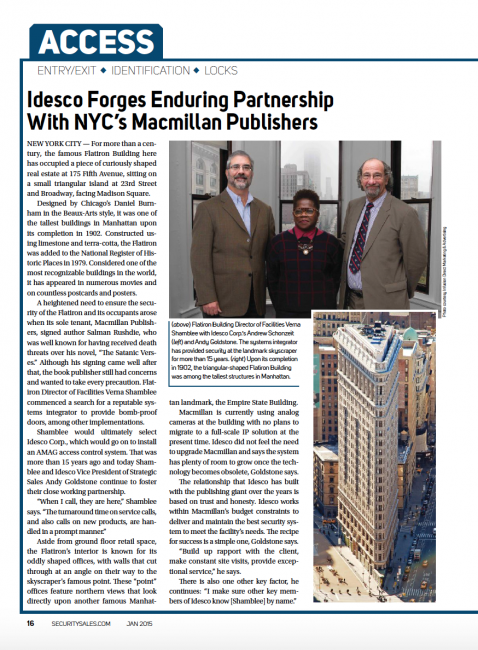 Idesco Corp. started in the security business in the early 1940s. They began with ID badging for the Department of the Army. Well, times have changed, a lot, in the past seven or eight decades but one constant is that Idesco is still involved in security. In fact, company president Andrew Schonzeit says Idesco’s biggest asset, as an integrator, is that they "stay one step ahead."